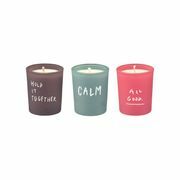 Fearne Set of 3 Candles at Cath Kidston - Save £9! Cath Kidston Mono Scattered Flowers Junior Large Backpack - HALF PRICE! Don't Miss out | up to 50% off Hurry Ends Tomorrow! Cath Kidston, known as the Home of Modern Vintage, is a multinational chain of home furnishing retail shops based in the UK. It was founded in 1993 by Cath Kidston and the first shop opened in London’s Holland Park in 1994. To date, the company has over 200 stores in more than 16 countries across the globe including the UK, the Republic of Ireland, China and Korea. Throughout the years, the company has continued to grow to become a much-loved quintessentially British lifestyle brand with a global multi-channel presence. Their wide array of products is distinctive, vibrant and witty prints. Their online shop offers their range of bestselling items including bags, accessories, fashion, homeware and stuff for your kids. Their products have always kept the same special family feel and distinctive culture that Cath Kidston has cherished from the start. 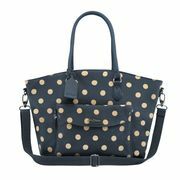 Shop now at www.cathkidston.com and avail their final reduction sale of up to 50% off on select items. For the latest Cath Kidston vouchers and discount codes from our community of bargain huntear, browse our Latest Deals on Cath Kidston. What does Cath Kidston sell? 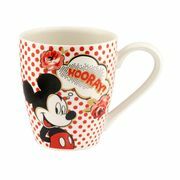 Disney: Take home something special from the 101 Dalmatians X Cath Kidson collection. Gifting: Shop for the perfect gift for your loved ones and friends from their wide range of product offerings. Bags: Shop their unique range of bags from travel and weekend bags to hand bags, cross body bags and leather bags. Brighten up your trips with modern vintage Cath Kidston. Accessories: Complete your outfit with the perfect pair of shoes, wallets and purses in vibrant colours. Dress up your favourite gadgets with their technology accessories in fun prints. Fashion: Shop for dresses, skirts, knitwear, tops, blouses trousers, shorts and more in lovely one-of-a-kind prints. 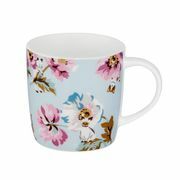 Home: Brighten up any room in your home new china or home furnishing from Cath Kidston. Cath Kids: From dresses, pjs, underwear and nighties in playful prints to cute bags, toys and accessories, Cath Kidston got your kids covered. Baby: Shop for you baby girl or baby boy’s needs which include everything from lace dresses to rompers to changing bags. How do I contact Cath Kidston? What are the delivery options for Cath Kidston? Once you have chosen your preferred store, a delivery date will be specified at the checkout. Your order will be kept for 10 days. This service is not available to customers in Northern Ireland, the Republic of Ireland, the Scottish Highlands, Inverness, Aberdeen, the Scilly Isles, the Channel Islands, British Isles and BFPO addresses. How do I return an item to Cath Kidston? You can send your items for a refund or exchange within 28 days of purchase providing it is in its original condition. Your request will be processed immediately, but if they are really busy it can take up to 7 days or 10 days if it’s Christmas and Sale periods. Contact their centre team on 03333 202 663, or +44 (0)1480 424 477 if you’re calling from outside the UK for the status of your order. You can also return the items to any of their UK shop nearest you. For further details, read their full Returns and Exchange Policy page. Cath Kidston gift cards are costs between £5 to £200. For more information on how to purchase, visit their Gift Cards page. Festive favourites, hand-made gift ideas, delicious family feasts and thrifty make-and-mend ideas.